Digitalizing India, one of the dreams of Narendra Modi is buzzing all around in every individual mind of India, everything in a market are filling up with digital gadgets, digital technologies, rather going to market or any place people generally prefer to get the things done online. According to the latest survey report of Florida University, 7 Android mobiles capable for running money app and performing branchless banking operations. These money apps are being used by millions in many developing countries like Brazil, Thailand, Indonesia, Philippines, Indonesia, India. 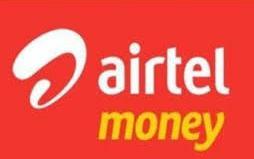 Oxygen wallet, Money On Mobile and Airtel Money (transfer feature inside My Airtel App) were selected from India, among these three Airtel Money and Money On Mobile had the worse result than expected.